John the Baptist was born into jacked up times. He was the one jealous of the prophesied King to be born under a star. He was the one who ordered the killing of the baby boys two and under. Yes, that Herod was ruling when John the Baptist was born. The Jewish people were oppressed IN the promised land. And the religious leaders of the Jews? Oh! Many were blind guides, who strained out gnats and white washed their tombs of dead men’s bones keeping people from God instead of ministering God to the people. a priest from the line of Aaron from the tribe of Levi FROM BOTH SIDES! Both descended from the line of Aaron. He had Levite coming from both sides. A priest with a call to prepare the way for the Great High Priest, Jesus. and I gave them to him. Remember the jacked up times John the Baptist was born into? Put that together with Malachi’s prophesy and like my thirteen year old daughter would say, “Bam!”. God’s Covenant with Levi continues with this Levi of a Levite, Mr. John the Baptist! 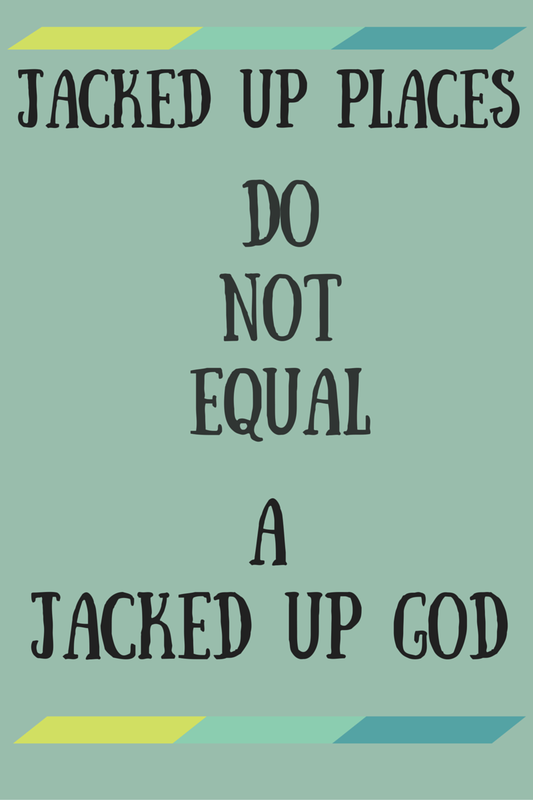 And let’s get this afresh: Jacked up places, messed up situations, evil and abuses piled high DO NOT Negate God’s Word. Everything I may have leaned up against might have been flimsy like grass and fading like a flower. But God is a rock. I can be sure I can lean up hard against Him and He will not fall over. His will is not always done, we know. It is not His will for a man to walk in a classroom with guns to blow away the brave that answer, “I am a Christian”. His purposes are NEVER thwarted. One of His purposes is that His people trust the Truth over the fear of a gun… the rejection of man, the loud voices of doubt, unbelief, and ego. For a little while, and in some of our places it will seem like evil has the victory. He has a plan and it is already set in motion. And Dear Reader, you and I can take that to the bank of faith and securely deposit it there. God, stir up your Word in the hearts of this Oregon community, so that they lean hard against You, the Unchanging God. Thank you for the faithful, who knew he would shoot, and said, “I am a Christian”. To You We Give All the Glory!